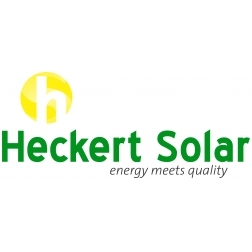 Heckert Solar is specialized in manufacturing high quality and high-performance solar modules. We manufacture photovoltaic modules of various performance classes and sizes and also offer the entire system technology like inverters, wiring or mounting systems. Our solar modules are available in different versions for various uses. Whether a family house, an agricultural building or an industrial roof - Heckert Solar provides PV modules which are suitable for almost any type of roof.